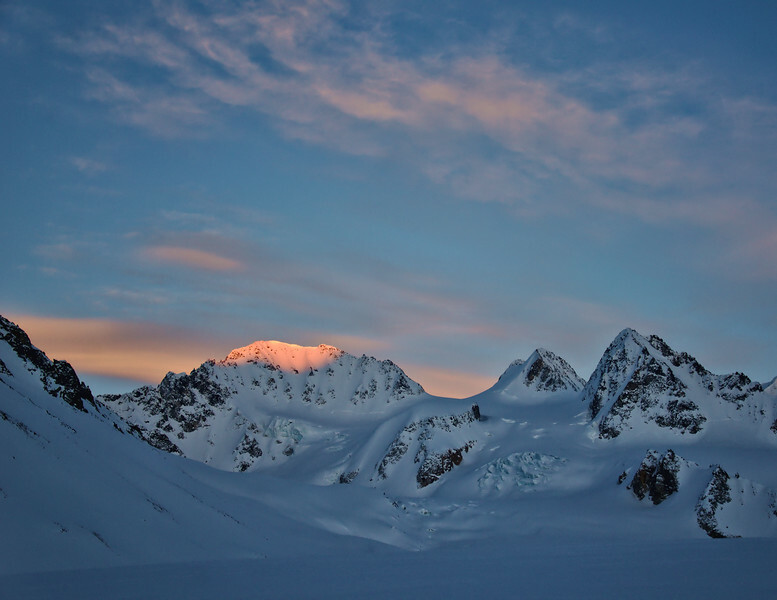 A tiny patch of alpenglow persists for a few moments on a mountain in the Alaska Range. I can't describe how beautiful this was, and the photo doesn't even come close to doing it justice. With the temperature falling to -20° F and nearly 50mph winds, I retreated back to my tent rather quickly once the light was gone.